For both newbies and advanced body builders, performing different variations of the pull up can really do wonders in building the upper body muscles. However, this exercise can be challenging if you do not know the right techniques to target specific muscles or muscle groups. So what muscles do pull ups work? Find out and get a much closer look at how muscles move when doing pull ups by continuing down below! The brachioradialis and brachialis muscles of the arms found near the elbow are two of the main muscles that pull ups target. Both of these are responsible for the movement of the forearms. These forearm muscles are activated when you hold your body weight while pulling up. This causes a strong isometric contraction in the fingers, hands, and forearm muscles. The biceps or more technically called the biceps brachii which sits across the shoulder joint and elbow allow the elbow joint to flex during a pull up. If you want to target all of these muscles, use an underhand or supine grip. Your biceps are the main muscles used in lifting your body up on the bar while the long head of your triceps that also cross the shoulder joint help in adducting the shoulders. These muscles also work in conjunction with the lats as you lower your body. While performing just pull ups may not suffice as a thorough biceps workout, this is a good place to start. Depending on your grip on the bar, pull up exercises can also stimulate your back muscles. For example, using a wide grip emphasizes on the deltoid muscles, which helps sculpt and strengthen your shoulders. A neutral grip also allows you to work on your deltoids with a bit less intensity but placing less strain on the joints. Another well-known muscle of the body, your pectoralis major muscles or pecs are the ones the make up majority of you chest muscles. Although it is not always apparent, your pecs play a major role in assisting the lats as you pull yourself up to the bar. In partnership with the coracobrachialis muscles (located in front of the shoulder joint and stretching out to the upper arm), your pecs also help the lats pull your upper arms towards your body. Since we already mentioned it, let us now talk about the latissimus dorsi, a.k.a. your lats. The lats are flat, triangle or fan-shaped muscles that stretch from the center of the back outwards to the sides of the body. They are partially covered by the trapezius muscle in the middle of your back. The lats are some of the largest and most important muscles of the upper body since they play a lot of different roles and functions. They connect body parts at five different points namely the upper arm, scapula, pelvis, spine, and ribs. One of the major roles of the lats is to pull your upper arms near to the body as you perform pull ups. There are several muscle groups on your shoulder that pull ups work on. Some of these are the teres major (a small muscle located behind the shoulder blade), the rhomboids that connect the spine to the shoulders, the trapezius along the shoulder and spine, and the levator scapulae running along the side of your neck. All of these muscles work together to depress and elevate the shoulder blades or scapulae, which is why they are sometimes referred to as the “shrugging muscles”. The teres major is found above the lats and is also attached to the humerus and scapula. Aside from the posterior deltoids, other muscle groups that assist the lats in doing pull ups are the infraspinatus muscles that spans across the back of the shoulder blades and upper arms and underneath it, the teres minor which is above the teres major. The trapezius muscles found in the center of the upper back are stimulated through the vertical pulling movements performed during pull ups. Along with the lats, these are the main muscles that carry the load during pull up exercises. The rotator cuff muscles also serve a minor stabilizing function as you adduct and extend your arm using the teres major and deltoid muscles. Your abdominal muscles which connect the pelvis and the rib cage to each other also help in stabilizing the torso during pull ups. These muscles include the rectus abdominis (abs) and the hip flexors which create the force needed to lift your lower body up. They can also work in keeping the front pelvis from drifting too far away from your sternum like how the erector spinae muscles prevent the vertebrae from drifting apart along your back. Other abdominal muscles are the internal and external obliques which help prevent or generate side bending and twisting while also functioning to reduce body swinging during pull ups. The transverse abdominis, on the other hand, helps you maintain a generally neutral body position by preventing excessive movements in all directions. Pull ups and chin ups are basically the same exercises except for a few key elements. By understanding their differences listed below, you will be able to decide which one suits your needs and can help you attain your desired results. Pull ups are generally done with an overhand or pronated grip as well as a palm-away position. The standard distance between the two hands on the bar is also slightly wider than shoulder width. Chin ups, on the other hand, differ by using the underhand or supinated grip with palm-toward position. The hands are also kept within shoulder-width distance from each other. 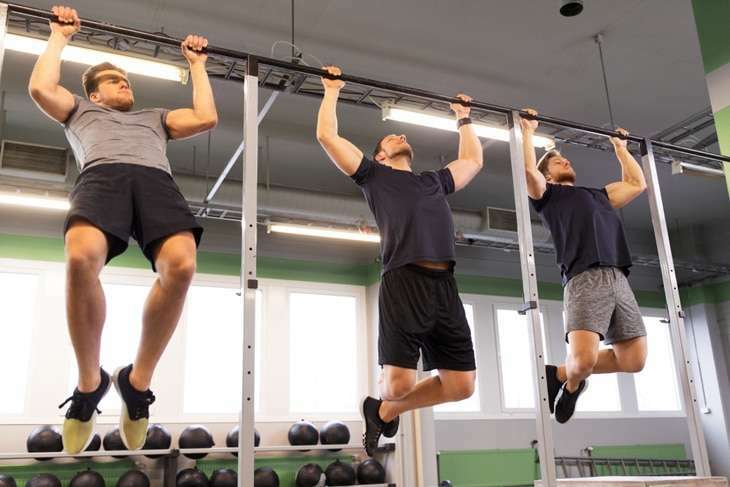 Both pull ups and chin ups are definitely among the best upper body conditioning and strengthening exercises, especially focusing on the biceps and lats. They also both bring the spine to the humerus, rotate your shoulder blades downward, and extend your shoulders. However, due to the difference in grip and distance between the hands, these two exercises tend to offer slightly different levels of muscle activation. Because the biceps are put in a slightly weaker position during pull ups, these puts a higher emphasis on working the lats than chin ups do. On the other hand, you can strengthen your overall pull through chin ups which work on the biceps and pecs a bit harder. The difference in terms of the width of the grip also has a significant impact. Generally, a narrower grip works the biceps more and a wider grip will place more pressure and emphasis on your lats. All advanced, intermediate, and novice bodybuilders will all agree that chin ups are easier to perform than pull ups. This is largely because when doing chin ups, you are engaging your biceps which is already a generally stronger muscle that creates a lot more pulling action. Pull ups are even more difficult for women than in men since women usually have smaller and weaker biceps. So, for starters, your trainer might have you execute 6 repetitions of pull ups as an equivalent of 10 chin up reps. Grip the bar firmly but comfortably with both hands. You can step on a bench, a sturdy box, or a chair to make this easier. For chin ups, have your palms face toward you and your hands closer together so that they frame the chin when you go up. For pull ups, you can move your hands farther from each other and use a grip with your palms facing forward away from you. By bending your elbows and channeling your upper arm strength, take a deep breath then pull your body up until your chin is just above the bar. Hold this position for 3 to 5 seconds. You can cross your feet together to balance your weight better. Slowly and with a controlled movement, exhale as you lower your body back down until your arms are stretched. Repeat this movement for as many sets and replications as needed. Do not do shortcuts or a half range of motion since this defeats the purpose of the exercise. Make sure to pull up until your chin is over the bar and lower your body until your arms are fully stretched. Always remember to engage your shoulders right from the starting position till the end of every movement. Failing to do so can put you at a higher risk of trauma and injuries. To do this, pull your shoulders down and back before performing the second step. Never try variations that are not ideal for your physique and current fitness level. Not everyone can be able to execute chin ups or pull ups perfectly and with proper form the first time. So, if you think you cannot do it, do not force yourself. Start by training with an easier, more suitable variation or other progressive exercises to develop enough strength and endurance to perform the movement properly. I hope that sufficiently answers the question, “What muscles do pull ups work”, so you can focus more on targeting specific muscle groups in order to achieve your personal fitness goals. If you liked this article, please feel free to share it with your friends and family! 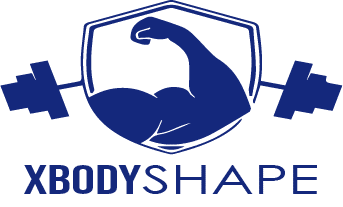 Also, you might also enjoy looking at these product reviews of machines, equipment, and tools that can be helpful in your fitness journey, so check them out!